To renew or join the Packerland H.O.G. Chapter, click on the link below for a printable form or stop in the dealership and pay at the registration desk. HOG patches and decals are also available to purchase in the dealership. Chapter Membership Runs From January to December. Dues $10.00. Please fill out 2nd page and include with your registration form. Mail to address on 2nd page - Thank you. Can join anytime throughout the year. Click Here for a printable membership form or pick one up at the dealership. 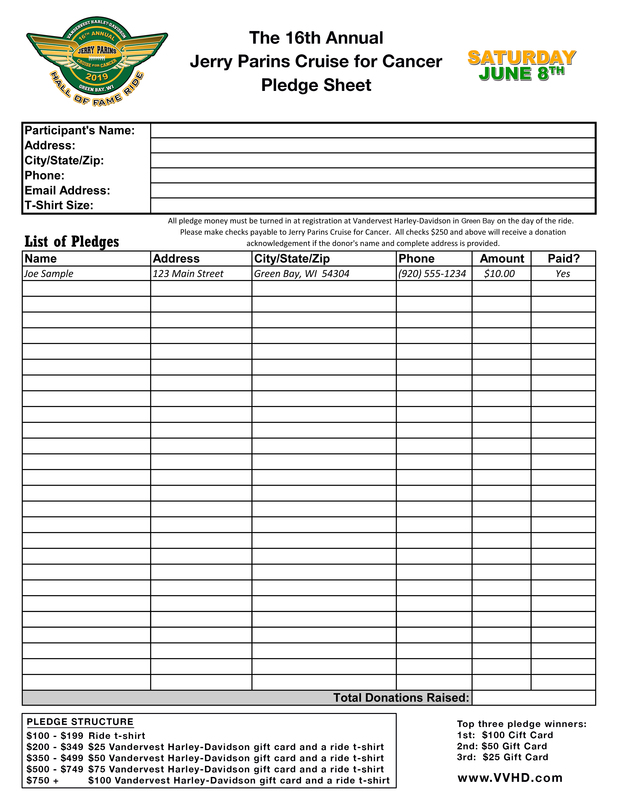 Fill in all of the information and drop it off at the next gathering or at the dealership. 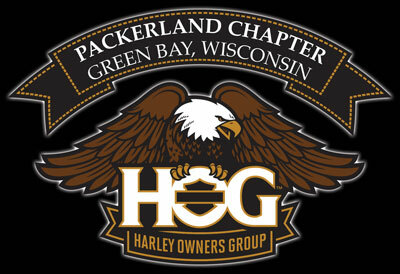 Packerland H.O.G.® Chapter "Charter Members"
Packerland HOG® Chapter of Green Bay, WI. Our monthly gatherings will be the last Monday of each month at 6:30 p.m. in The Duck Blind Banquet Facility. (Building behind the Dealership) Our Chapter dues are only $10.00. Spread the word to your family and friends that want to join the Packerland Chapter of Green Bay, WI. No Meeting in December and in January. We have attached a membership form to fill out. Mail in the form and payment to the dealership or drop it off. You may also call Lynn Vandervest at the dealership with questions. . When people find out that I am a member of HOG® I am often asked why should I join HOG®, what are the benefits? I usually give the answer because you get a free map and a patch. Ok, that's not really my answer. I often mention the fact that it connects you with the rest of the riding world. It provides you with a network of other area riders in addition to some other perks. Of course we get a touring book, patch, pin, card, some VIP perks and a pretty cool magazine that is mailed periodically. However, as a member of the Packerland HOG® Chapter I can add many additional benefits that don't come in a welcome to HOG® envelope once a year. I am very proud of our chapter as personally I don¡¦t think it is your typical chapter. Our meetings are anything but formal. We are entertained by either Geno or Penny at the start of every meeting with a joke that will either make you laugh or leave you scratching your head. No gavel, no reading of the minutes, no formal processes other than saying the pledge, sharing information then engaging in conversation with our fellow riders. As I have mentioned before we are very diversified in the area of age which makes it unique as we have seasoned riders with all the answers and young guns with all the energy to keep things lively. We have all of this and more but the most impressive part of our chapter are the efforts and huge hearts of our members. We have hosted an awesome ride in the Cruise for Cancer, stood behind members in need and put together a new twist on helping out the MDA. Had you attended the end of summer MDA HOGOPOLY party you would have witnessed the generosity and impact our chapter has on our community. With close to a couple hundred people attending the party, people arrived at the start and didn¡¦t leave until the very end. In its first year of existence the HOGOPOLY summer ride event raised over $25,000.00 for MDA. Not a bad little effort for a bunch of rebel bikers. ƒº Point being our chapter does an outstanding job of getting behind a cause and making a difference. I understand that amongst the chapter members we have a wide variety of reasons that we are a part of HOG®. Some of the reasons could be to network, status, stay on top of trends, a free map or simply to get a patch. Regardless of why you joined HOG® one theme rings true with the Packerland Chapter; we have made an impact on our community. That impact comes in all shapes and sizes. Maybe you donated money, you could have been one of the behind the scenes people that set things up, if you show up as part of the masses at an event you have played a role on impacting our community. 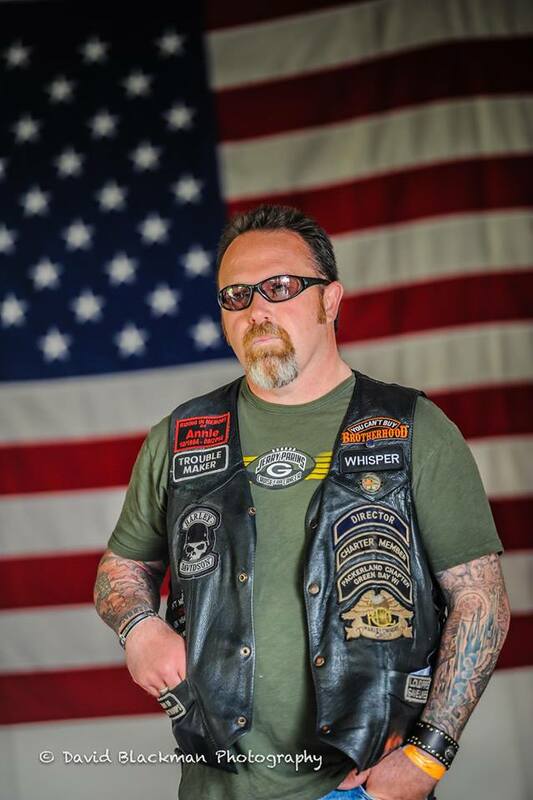 Understanding that in some way shape our form as a member of the Packerland HOG® Chapter you have made a difference. So the next time someone asks you, what are the benefits to joining HOG®? You can skip the map, patch, magazine or perks and tell them with pride that the biggest benefit of being a HOG® member is that you make a difference in your community. It gives me a great deal of pride when someone sees me on my bike and correlates my passion for riding with my willingness to help out others in need. That is what being a part of the Packerland HOG® Chapter has done for me. So, although I love my welcome package and I wear my patch with pride it is more important to quietly continue doing things that make an impact on our community and enlist people in our chapter by sharing in the benefits of creating a chapter that builds a positive relationship with our community while sharing the passion of riding with other motorcycle enthusiasts. In my opinion that's what the Packerland Chapter has done and continues to do with each passing season. Keep up the great work and continue to make a difference by being an active member of the Packerland HOG® Chapter!